As much as there are trend forecasters within the fashion industry, sometimes there are fashion items that are unexpected. I am of course talking about basket bags. 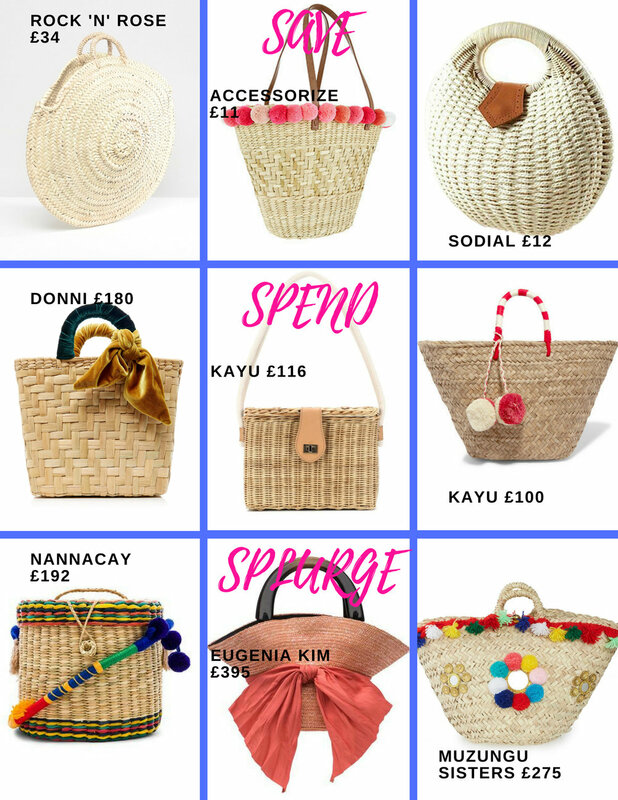 Whether they are made from straw, wicker or raffia, big or small they can be found toted on the arm of the most style savvy. They are no longer confined to the beach and can be styled with everything from maxi dresses to stylish dusters. These chic bags were seen all over the SS2018 runway. My personal favourite is the MIU MIU Limited Edition version which has a red tag attached that indicates the location where it was purchased. If like me you have champagne taste with lemonade money, then you’ll be overjoyed to know that there are high street basket bags that are just as nice as the designer ones. Some of the designs are decorated with ribbon, pompoms and/or fringing. Whether you’re looking for a micro version or one that is more spacious in its design, I am sure you will be able to find a style that ticks all of the boxes. Let me know in the comments which one is your favourite and whether you plan to save, spend or splurge on your purchase.